Now that the stockings are hung and the halls are decked, ‘tis the season for a little merriment in the form of adult beverages (even Santa has to refuel every now and then). 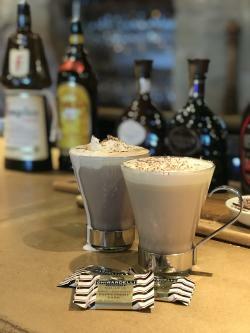 After completing some strenuous research, we’ve nailed down a festive list of KC | OP holiday cocktails that are sure to get even the grumpiest Grinch to feel the spirit of the season. 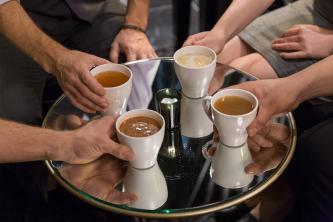 This Calabrian cocktail, one of several yuletide treats offered at Monarch Bar, is for the adventurous palate. Russel’s 10-year bourbon, Averna, Tempus Fugit dark cacao, Absinthe and smoked Calabrian Chile come together to form a rich and spicy surprise so good, you’ll ask Santa for more. Baby, it’s cold outside but this fruity libation will give you all the holiday warm fuzzies. 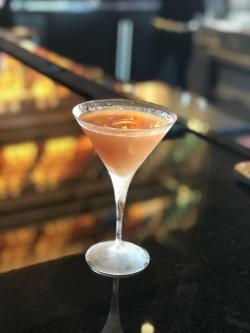 Ingredients include Belvedere Citrus Vodka, Carpano Antica Sweet Vermouth, Solerno Blood Orange Liqueur, cranberry and fresh squeezed orange juice. Finally a holiday cocktail for rum lovers – joy to the world! Start with house-spiced rum and Cointreau; add flavors of lemon, orange and ginger; finish it all off with a sugar rim and you’ve got the tastiest rum drink this side of the North Pole. What do you get when you mix holiday cheer with beer? 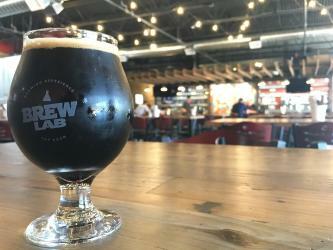 This full-bodied, chocolatey stout on tap now at Brew Lab in Downtown OP. The subtle cinnamon finish will surprise and delight. 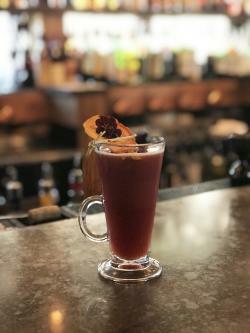 Get jolly with this cider drink that brings forth flavors of nutmeg, cinnamon, clove and orange. 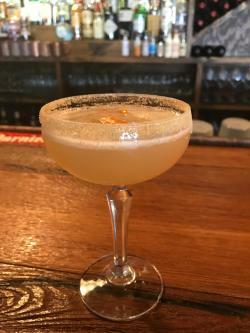 Ingredients include Cointreau, housemade apple spice simple syrup (infused with spices) and guest’s choice of either J. Rieger Kansas City whiskey or Union Horse Rider vodka. After you’ve finished your burnt ends, head to the bar for this sweet and sour seasonal sip. 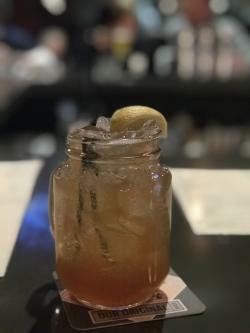 Served up in a classic Mason jar, hard cider, J. Rieger vodka, cherry liqueur and cinnamon syrup combine for a cocktail that is as naughty as it is nice. Now that you’ve read our list (and checked it twice), we challenge you to sample these festive refreshments with your loved ones and fully embrace the spirit of the season. Cheers!